Three golden eagle chicks were recently released into the wild in the south of Scotland in the hope of boosting the population in the region. The eagles were moved from nests in the Highlands where the majority of raptors are populated to a secret location in Moffat Hills in a bid to boost a declining population in the area. According to Logan Steele of the Scottish Raptors Group, the last breeding survey carried out in 2015 counted over 500 breeding pairs of Golden Eagles in Scotland. The biggest threats for the golden eagles, he said, are illegal persecution of the species in the south and east of Scotland where lands are largely managed for driven grouse shooting. The protection of Scottish eagles is important for Irish populations too as all golden eagles introduced into Ireland since 2001 have come from Scotland. Lorcan O’Toole of the Golden Eagle Trust said that golden eagles may migrate from Scotland to Northern Ireland, leading the way for them to breed in Ireland. This would be a positive impact to Ireland’s eagle’s population of around 35, he said. Mr O’Toole told The Green News that there have been no new golden eagles released in Ireland since 2012 and there are no plans for any further releases at the moment. Golden eagles pair for life and tend to use the same nest year over year, usually finding habitats in mountains or treeless areas. The population of the eagles are slowly growing, with three new chicks fledged this year, Mr O’Toole said. 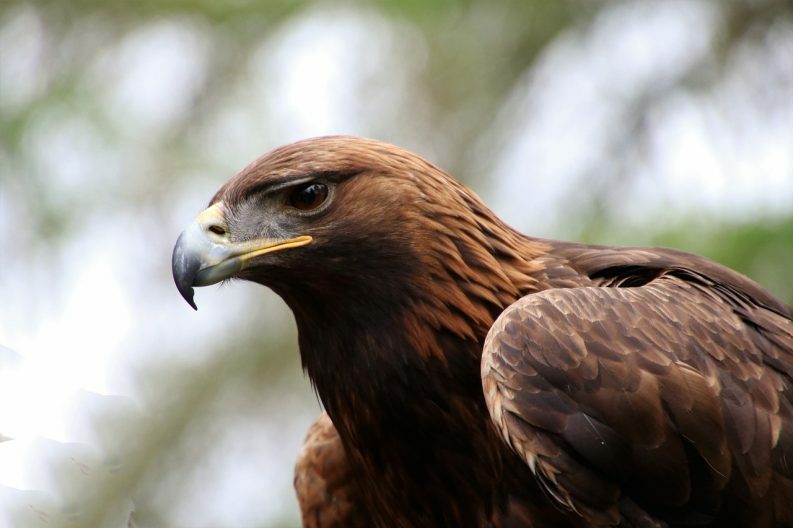 The mountains of Co Donegal have proven to be a popular site for golden eagles, however, a lack of food in the Donegal landscape has seen the population decrease in recent years. The mountains have been damaged by human activities and it will take a lot of effort to improve the habitat in Donegal in order to help boost the population, Mr O’Toole said. During an outbreak of gorse fires last year, the habitats of endangered species such as the curlew, golden eagle, and hen harrier were damaged across the island. Mr O’Toole added that even if this year’s drought had no harmful impact for the species, the heavy snow and wet weather conditions at the beginning of the year brought damages.